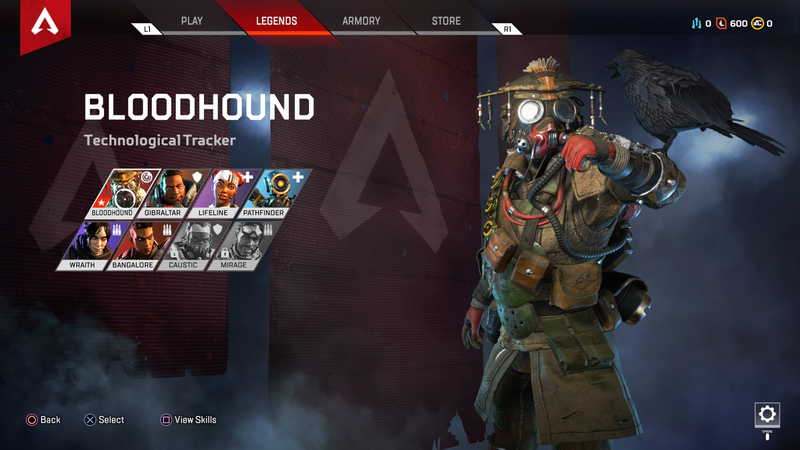 Apex Legends has you working in teams of three in a bid to win the coveted Battle Royale, but which Legend will you choose? 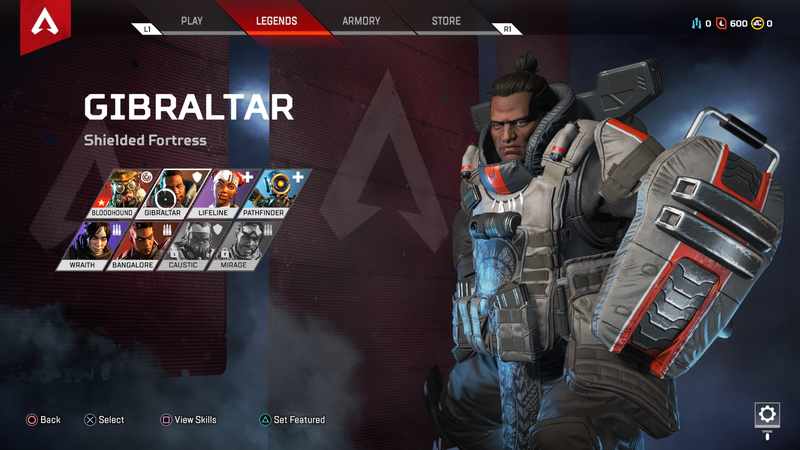 Apex Legends has a roster of Legends to choose from, each with their own class and special moves. In this guide, we’ll be going through each Legend to help you choose which one you’d like to main, as well as give you an idea at how to balance out your squad each match. Each Legend has a Passive, Tactical and Ultimate move that you can use to your advantage. They all compliment each other well, though it pays to get tactical when choosing a Legend. Bloodhound is first on the list. This hooded German scientist is the best tracker around. You’ll be able to find clues that enemies have been to the location you are visiting with the Passive Tracker ability, as well as a Tactical move that allows you to see enemies, traps and clues through all structures in front of you. 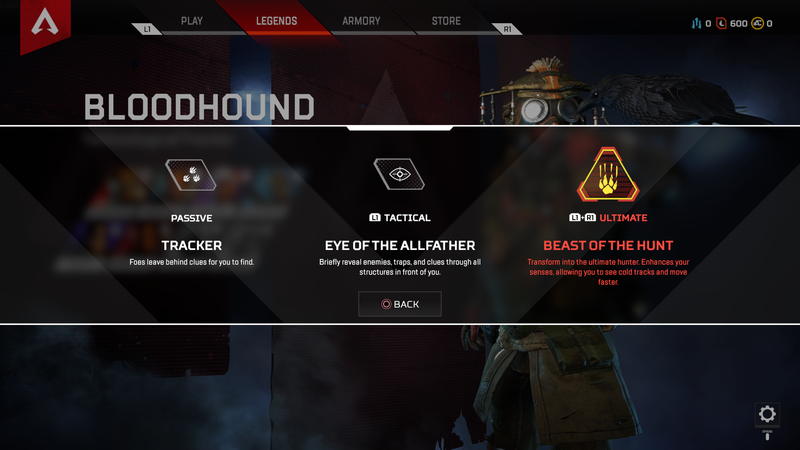 Bloodhound’s Ultimate move lets him transform into the ultimate hunter, showing cold tracks and allowing for faster movement for a short period of time. When it gets to the last rounds of a match, Bloodhound’s Eye of the Allfather can give you a real edge in targetting enemies quickly as you can ping their location to your teammates. 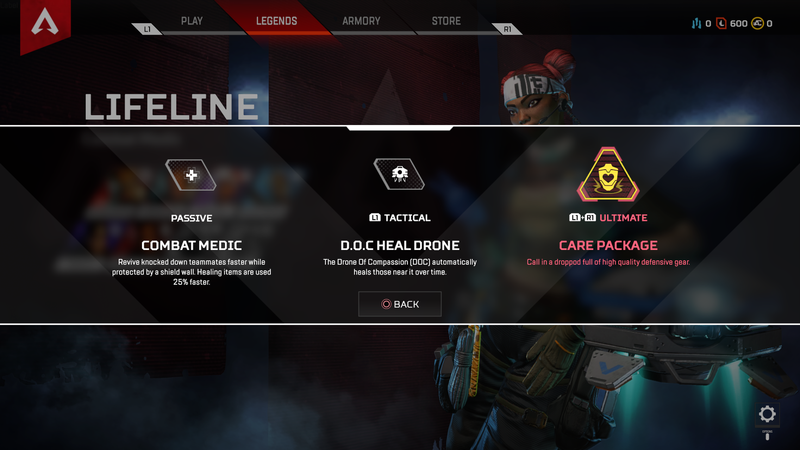 Lifeline’s Passive skill is extremely useful in later stages of the match. She is able to revive teammates faster, with a shield protecting you both while she does so. Healing items are also sued 25% faster as Lifeline. The Drone of Compassion, or D.O.C., heals all who are near it over a short space of time, and her Ultimate move is the Care Package, which drops high-quality defensive gear. Lifeline is obviously one of the strongest candidates on this list. A medic in a Battle Royale match can swing the odds in your favour rapidly, as she can heal herself and your squadmates faster than other Legends. The Care Package is another tactical advantage that proves useful at any stage in the match. Pathfinder is the happy-go-lucky robot Legend that really helps with forward planning in a match. His Passive skill involves determining where the ring’s next location will be, and his Tactical move is a Grappling Hook which can get you out of a tight spot fast. It’s also good for jumping out and scouting out new vantage points, as he is a Scout after all. His Ultimate move creates a Zipline that everyone can use, again allowing for fast travel around the map to better spots, or to get out of trouble. Pathfinder would be good for players who don’t have much experience with shooters, or who feel the PvP gameplay is a bit overwhelming. 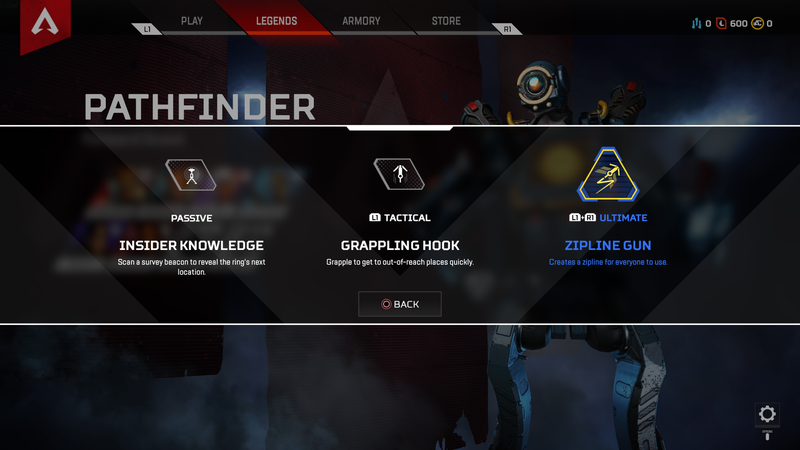 As a support role, players can use Pathfinder to create ziplines to move your squad quickly around the map, nip ahead to take out enemies spotted further away and use vantage points to guide your teammates to safe locations. 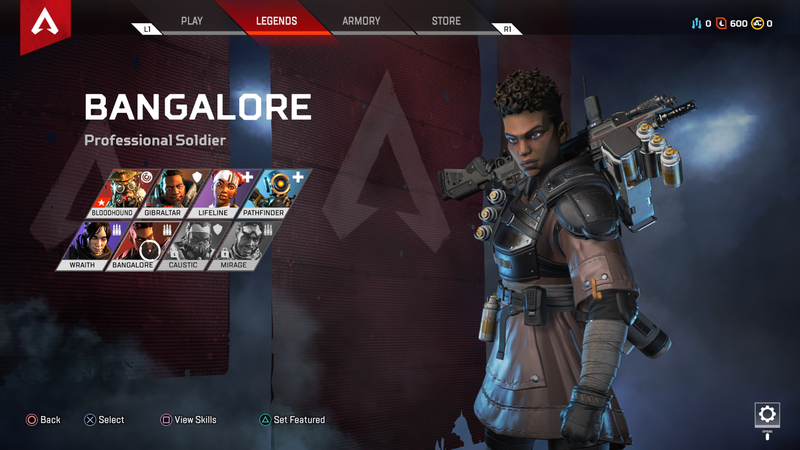 Bangalore is your soldier class Legend and arguably one of the strongest candidates for your main. 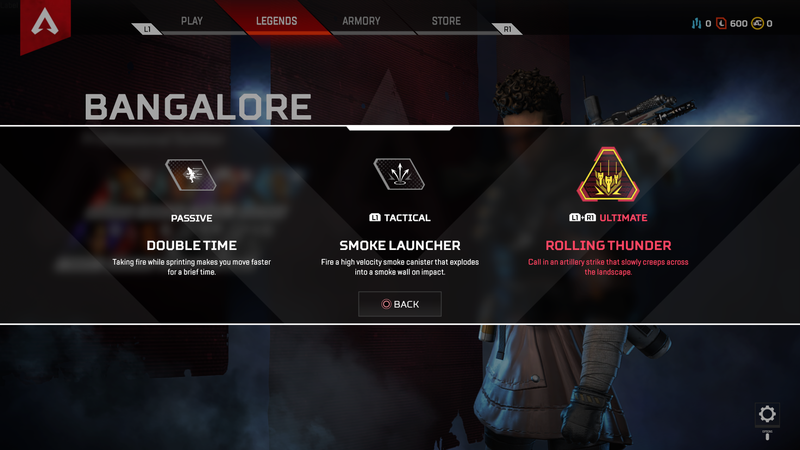 Her Passive move lets you sprint faster while under fire, and the Smoke Launcher Tactical move lets you fire a smoke canister that explodes into a smoke wall on impact. Bangalore’s Ultimate move is Rolling Thunder, where you call in an artillery strike that will slowly roll across the map. Super effective for taking out a bunch of squads early on. For those of you who have a wealth of FPS experience, Bangalore will fit easily to your playstyle. Mixing fast movement with a devastating map attack will come easily to players who are used to directing UAVs to bomb locations in other FPS titles. As the name suggests, this giant rock of a man is hard to put down. His Passive move provides a gun shield when aiming down sights, and his Tactical move is a dome-shield that blocks attacks for 15 seconds. His Ultimate moves calls in a mortar strike on a position of your choice with devastating effects. Again, Gibraltar is a firm favourite with those who have a passion for FPS titles. His defensive and offensive abilities mean you won’t need to hide in the corner of a room waiting to be found by another squad. 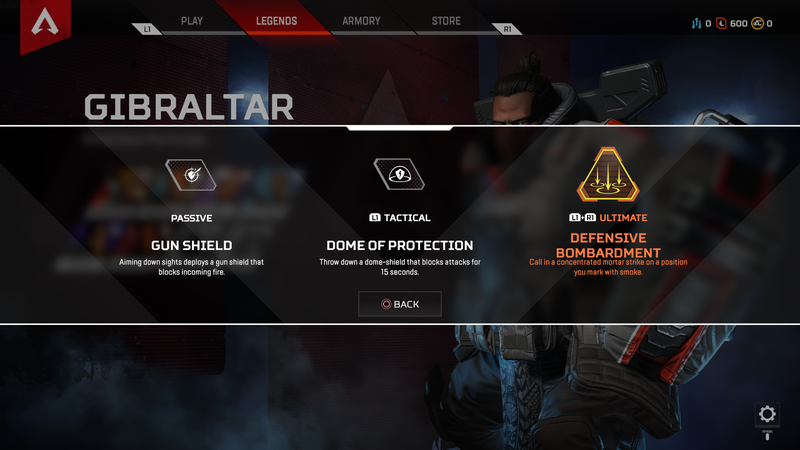 If you prefer a more ballsy approach to shooters, as opposed to the traditional duck-and-cover method, then Gibraltar is the Legend for you. Wraith is portrayed as quite a troubled soul who can create rifts in space and time and nip through them. Quite handy in Battle Royale, then. Her Passive move involves an ethereal voice telling you danger is approaching and her Tactical move lets you retreat into the Void to avoid damage. 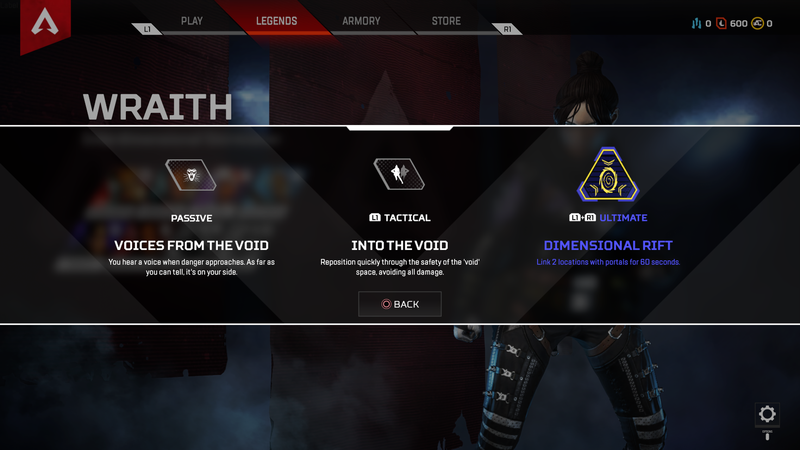 Her Ultimate move, Dimensional Rift, lets you link two locations with portals for 60 seconds, which can get you out of harm’s way sharpish. 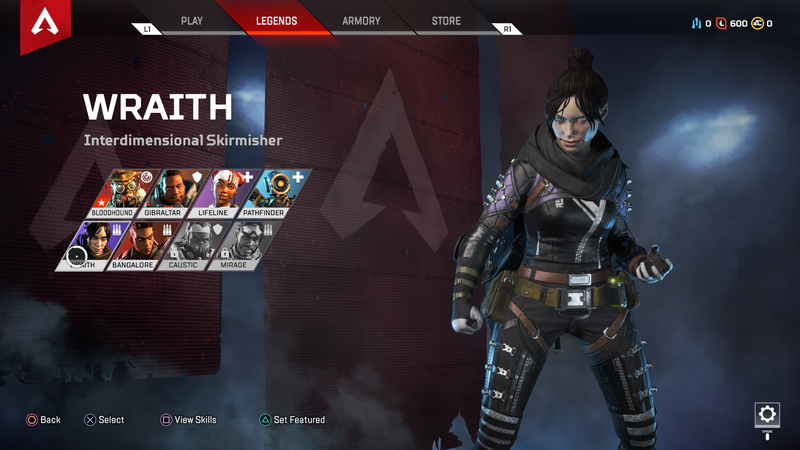 Wraith is another contender for the top spot. Her moves allow you to escape trouble quickly, as well as letting you line up portals for a surprise attack on another group of enemies. 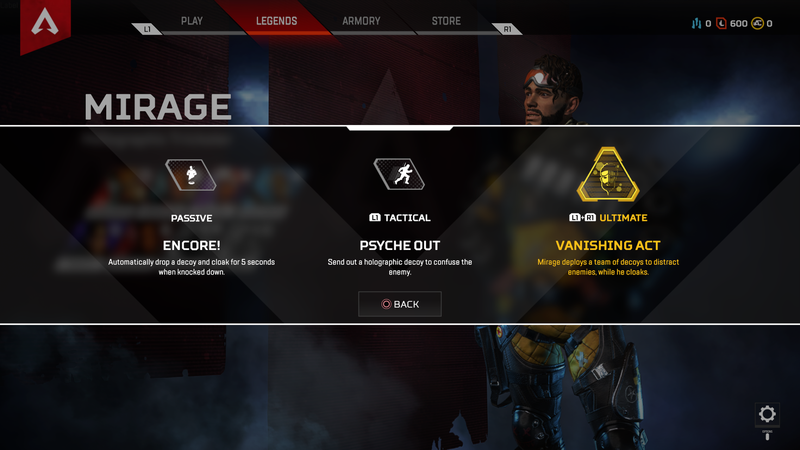 Good communication is key in Apex Legends, so use your ping to signal your location so she can come to your aid, pick up your banner or take down an enemy fast. 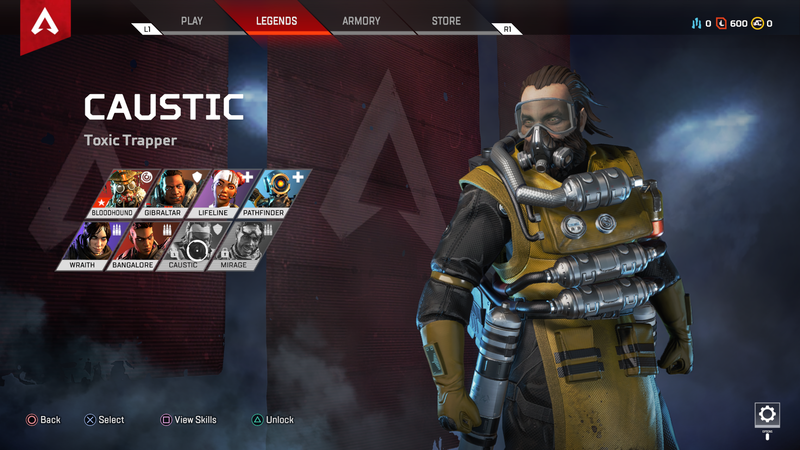 Caustic is one of two Legends that can be unlocked with Apex Legend’s in-game currency, either with your own money or by earning Legend Coins. 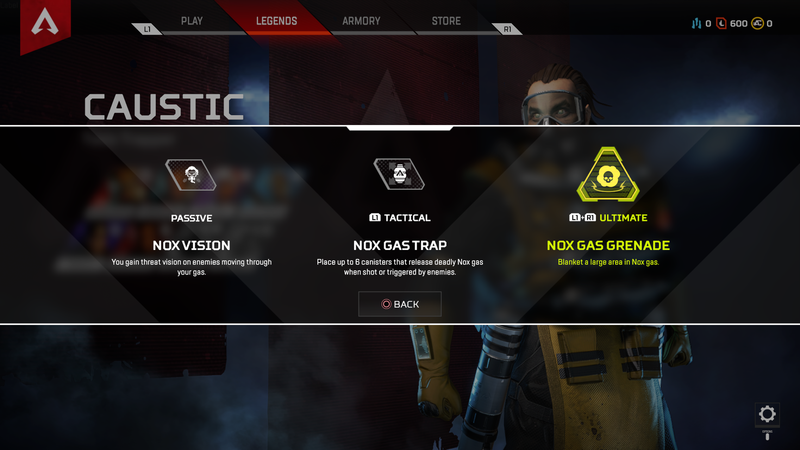 You Passive moves grants you threat vision on enemies when moving through gas, whereas Nox Gastrap lets you place six canisters that will explode when shot or triggered by opponents. His Ultimate move lets you cover a larger area in Nox Gas which will obviously work to your Passive move’s advantage. Caustic’s pros and cons are quite clear: the Nox Gas Grenade and Gastrap have obvious benefits, both as offensive and defensive moves. The canisters will damage enemies, while the gas will make it impossible for others to see, whereas you’ll be able to use your Passive move to hone in on enemies. If there’s no gas around, however, Caustic’s Passive isn’t that useful, unless other squads also have Caustic in their ranks. Mirage is the second unlockable Legend on the list. His Passive move involves dropping a decoy and cloaking for five seconds when knocked down, and his Tactical involves sending out a decoy to confuse the enemy for a period of time. Vanishing Act also uses decoys to your advantage, sending out a team of them to distract your enemies while you cloak and run. Much like Wraith, Mirage’s moves should get you out of a pickle in no time. Deploying decoy’s is a potentially game-changing move as your opponents struggle to work out who the real Mirage is. Cloaking has its obvious advantages, too, though if you don’t have a health pack to hand you’re in danger of being taken out once your cloak disappears. 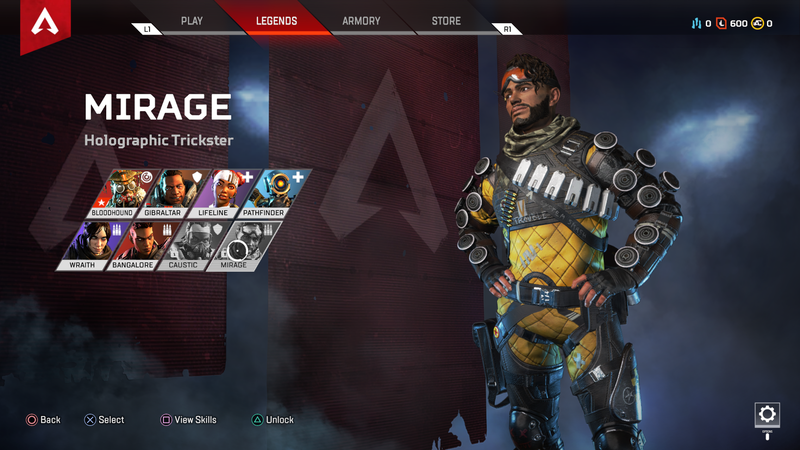 Octane is the newest Legend on the roster and like Mirage and Caustic, you’ll need to pay to unlock him. Octane’s Passive move is Swift Mend which allows him to regenerate health while he isn’t taking any damage. His Tactical, Stim, lets him move faster for six seconds but you’ll sacrifice some health to do that. Octane’s Ultimate, Launch Pad, allows you to deploy a jump pad that catapults users through the air. All of these moves could make a real difference in the final rounds of a match. 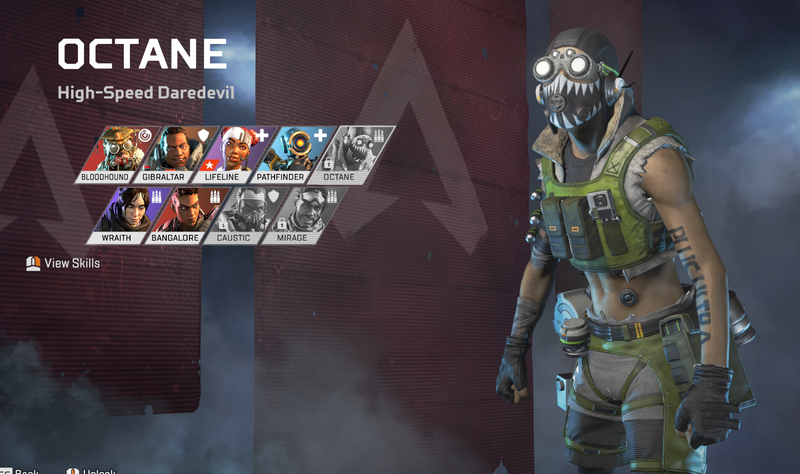 A team consisting of Octane, Gibraltar and Lifeline would be a good mix, as Lifeline can top up his health while Gibraltar lays down his massive shield. 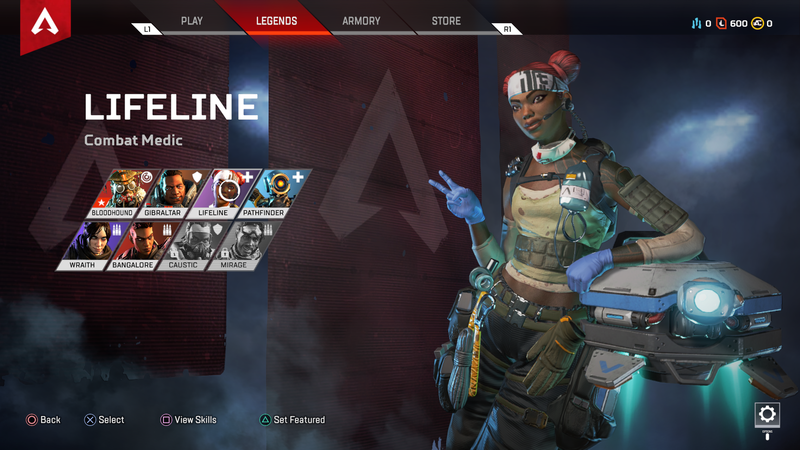 According to leaks there are two new Apex Legends yet to be released into battle. Octane and Wattson have been found in game files, each with their own abilities, although there’s nothing official on when or if they’re going to be released. 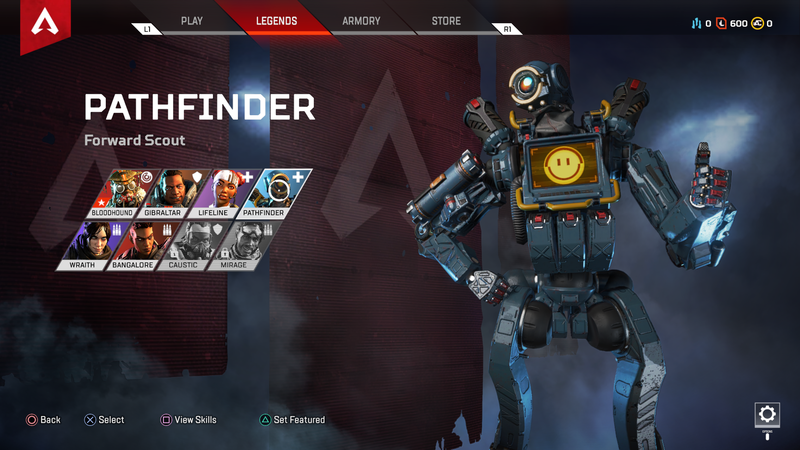 Now that you’ve chosen your Legend, head back to our full guide to get the lowdown on the best weapons in Apex Legends, and more.